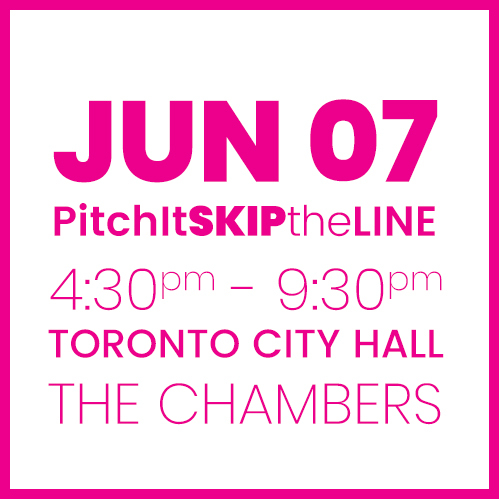 Open People Network (OPN) has partnered with The City of Toronto and StartupHERE Toronto for the first premier pitching event of the year, #PitchItSkiptheLine. 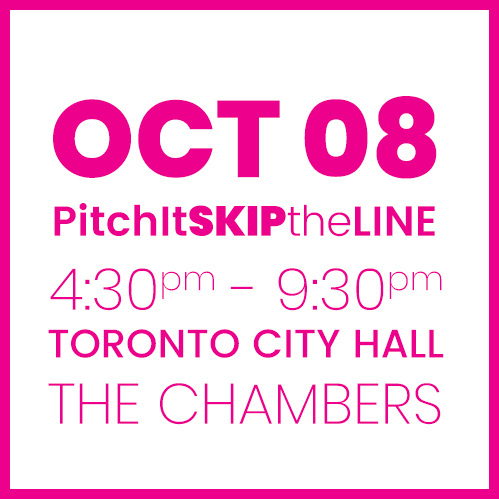 #PitchItSkiptheLine is an exclusive closed pitch event, that includes up to five angel groups and/or Business Leaders. If you are a startup looking for investment, Skip the Line and pitch to a targeted audience of multiple investors in one room. 12 startups will deliver a 7 minute pitch to a room with 20+ investors, you will receive feedback from 5 Advisors for a total of 14 minutes. 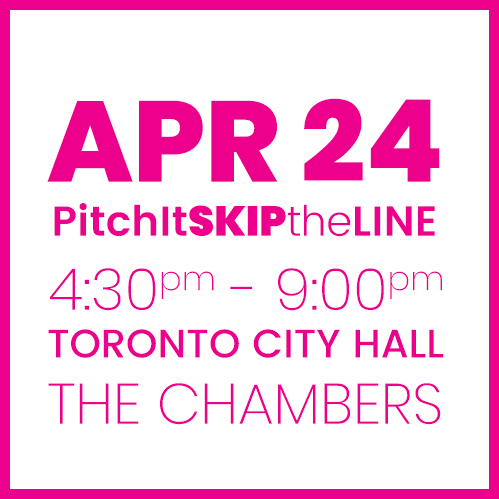 The event will start at 4:55 sharp, with an opening address from OPN, the pitches will start at 5:00pm. 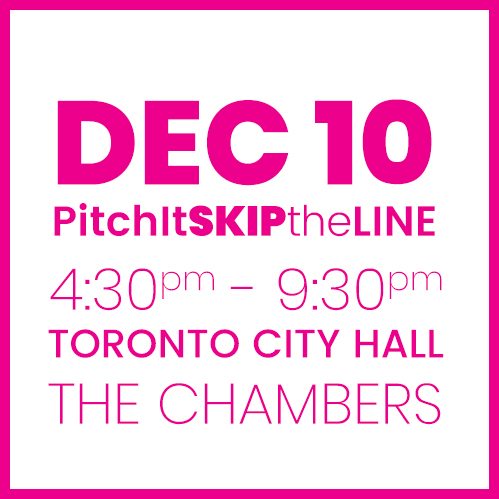 The pitches will be scheduled every 15 minutes. At 7:00pm, boxed meals, Flow Water and Mindful Tea, will be served in the members lounge. 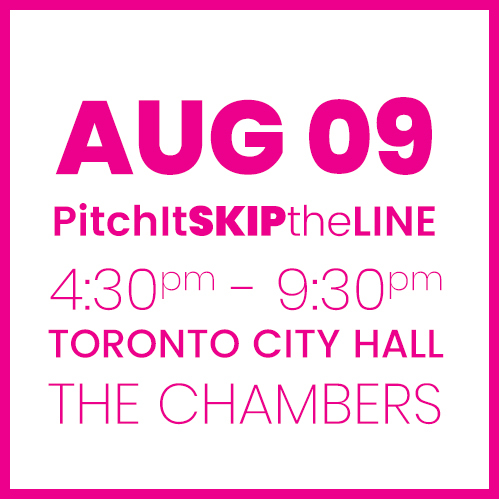 Applications to pitch are now open, spots are limited!